Robert Conner keeps his friends' phone numbers and snailmail addresses in Gmail. He asked me how he can access this information offline. The trick is to sync Gmail's contacts with another contact manager--one that stores its information locally. Not surprisingly, this is a no-brainer on an Android device. You just give the phone or tablet your Gmail account name and password, and it syncs. It's also reasonably easy on an iOS device, such as an iPad--once you know the not-very-obvious trick. You can learn that trick at Sync Mail, Contacts, Calendar with Your iOS Device. 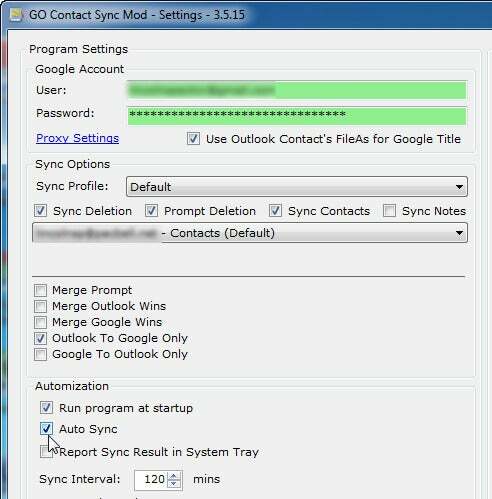 If you have Microsoft Office, and therefore Outlook, download and install GO Contact Sync. This free, open-source program is highly configurable. You can control how it syncs (for instance, if Outlook and Gmail have conflicting information on the same person, you can set which one "wins"). You can also set when it syncs automatically. The other option is to manually export contacts from Gmail, then import them into Outlook or almost any other contact manager. This isn't as convenient as actual syncing, because the two databases will eventually diverge without regular effort. But if you don't care about keeping the local version up-to-date, don't want to install another program, or are not using Outlook, it's a better choice. In Gmail's Contacts environment, click the More pull-down menu and select Export. In the top section of the resulting Export Contacts dialog box, select what contacts you want exported. In the bottom half, select Outlook CSV. Click Start, type contacts, and press ENTER to bring up your contacts in a Windows Explorer window. On the toolbar, select Import. (If you don't see an Import option, click the chevron icon--which looks like >>--and it will appear in a pull-down menu). In the resulting Import to Windows Contacts dialog box, select CSV (Comma Separated Values), and follow the prompts.